2017 was quite an eclectic year for film. 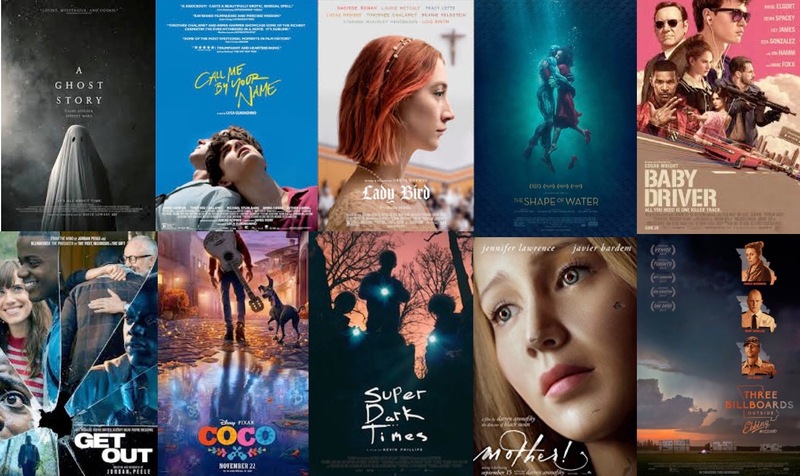 My list runs the gamut from coming-of-agers to an adult fairy tale, to an animated film, to a horror film with something on its mind and others that are harder to pigeonhole. While this is the first year I have only given three films perfect scores, there were still plenty of films that I would have been comfortable putting on my Top Ten list. Out of the 150+ films I saw from January to December of 2017, here is a list of Honorable Mentions, runners-up and my list of the top ten films. 15) Good Time - To anyone living under a rock, Robert Pattinson has come a long way, baby, after glittery, pale-white vampire Edward in the “Twilight” saga. 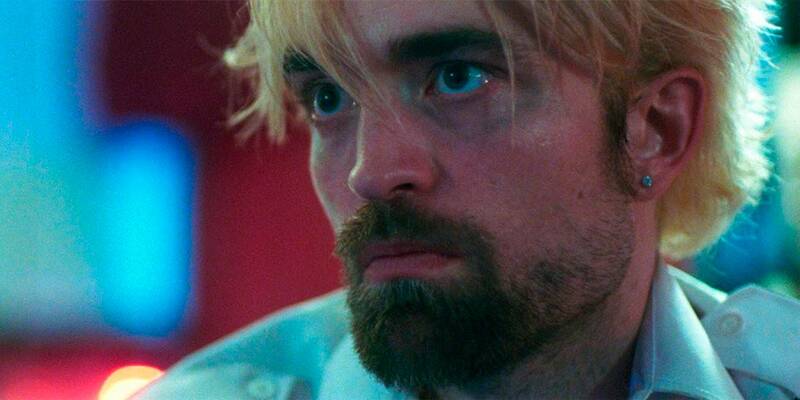 In effectively grimy indie crime-thriller “Good Time,” his creditably volatile, Pacino-level performance is proof of that. Pattinson plays Connie, a reprehensible but charismatic con artist rushing through a seedy New York City to turn things around after a botched bank robbery that ends in the arrest of his mentally handicapped brother, and with every choice he makes, he only digs himself a deeper hole. With a synthy, ‘80s-style score and handheld cinematography creating a propulsive energy, filmmaking brothers Benny and Josh Safdie deliver gripping, electrifying work. 14) Okja - Tonally and narratively, Bong Joon-ho’s audacious genre-shifter “Ojka” is many different things at once, not unlike “Snowpiercer”: a “Lassie”-esque fable about a girl and her pet pig; a scathing satire of corporate evil; an eco-friendly message movie that could make any meat-eater a full-time vegan; and an activism action adventure. In spite of Jake Gyllenhaal’s jarringly screechy performance belonging in a different movie, this is one wild, wacky, singularly strange beast that is unlike anything else in the theater or on Netflix (where it premiered), and it’s a sight to behold. 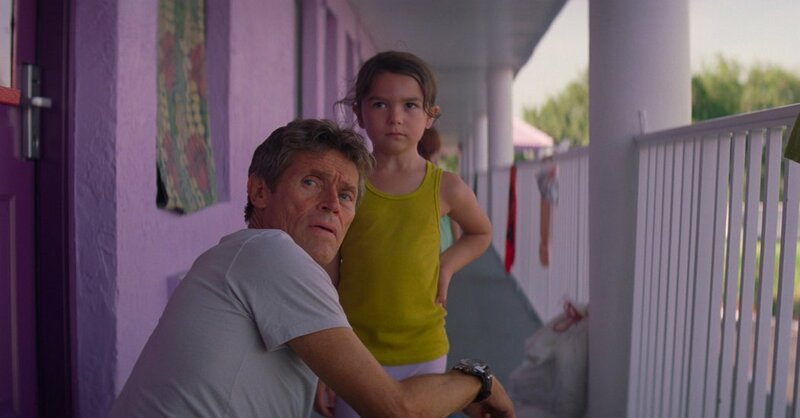 13) The Florida Project - Cinema can be a window into someone else’s experience contrary to our own, and indie writer-director Sean Baker’s tough, compassionate, heart-wrenching “The Florida Project” does just that with an observant, non-judgmental authenticity for the kids, single mothers, and a motel superintendent (Willem Dafoe) living in the Orlando motels less than a mile away from Disney World. At times, the film is so raw and real that one wants to pause and call Child Protective Services, however, there is even empathy for trashy, tattooed mom Halley (Bria Vinaite) who might smoke in front of impressionable daughter Moonee (Brooklyn Kimberly Prince), among other awful things, but will do anything to keep a roof over her head and food in her stomach. For a film about people living on the fringe in a squalid bubble, “The Florida Project” has a dreamy innocence and ends on an extremely moving note that's somewhat hopeful. 12) Logan - It would be hard to imagine after watching Hugh Jackman return to this iconic Marvel character for 17 years that this focused, fittingly final entry would be able to take more risks than one might expect. 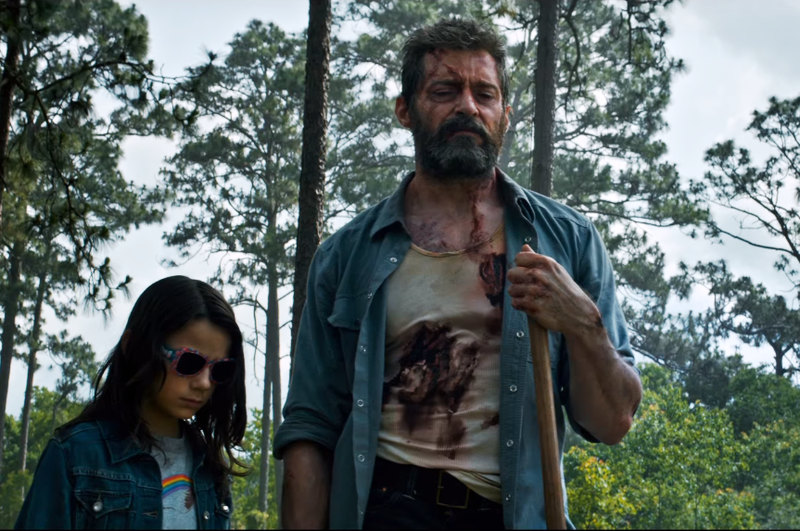 At once a western, a road picture, a meditation on mortality, and a closing character drama, “Logan” is blessed with an R-rating, lasting pathos, and deadly serious stakes without being humorless. Adult-oriented, angry, and visceral but also emotionally resonant, it’s a film that lets its retractable-clawed hero be human at last. 11) It - A coming-of-ager about the woes and anxieties of being a kid in a looking-glass town damned by an an evil entity, “It” is elegantly mounted, classically confident, adult-minded, goosebump-inducing and never without a beating heart. Out of the slew of Stephen King adaptations to choose from, this is decidedly one of the very good ones. Pennywise the Dancing Clown will certainly be getting many horror fans floating into the theater, but “It” wouldn’t be what it is without fully realized characters who are always in the forefront and collectively share a warm, close-knit underdog camaraderie. If he’s not already, King should be awfully proud. 10) Three Billboards Outside Ebbing, Missouri - Demonstrating yet another tonally deft balance and an ear for sharp dialogue that makes one wish we could all pull out quips like this on a dime, Martin McDonagh's “Three Billboards Outside Ebbing, Missouri” is a barn-burning statement, pitch-black comedy, soul-searching drama, tragedy and morality tale about the lengths to which people will go when coping with loss and injustice. There’s simmering rage but also biting wit, catharsis and truth. McDonagh wrote the script with Frances McDormand in mind, and based on her work on screen, one can’t imagine anyone else more right for the role of Mildred, a Midwestern woman who calls out the police using three open billboards seven months after the murder of her daughter. McDormand is a commanding force of nature and leads an excellent ensemble, including nuanced work from Woody Harrelson and Sam Rockwell. Smart and unpredictable with shocking bursts of cruel violence, “Three Billboards Outside Ebbing, Missour” keeps zigging where the viewer thinks it will zag. 9) mother! - Daring in ways a lot of modern filmmakers would not even try in fear of failing, writer-director Darren Aronofsky is one of cinema’s most courageous cinematic artists who really swings for the fences and never lets his audience know where he’s taking them. His latest offering may be the last word in his thoughtful, challenging auteur sensibilities. 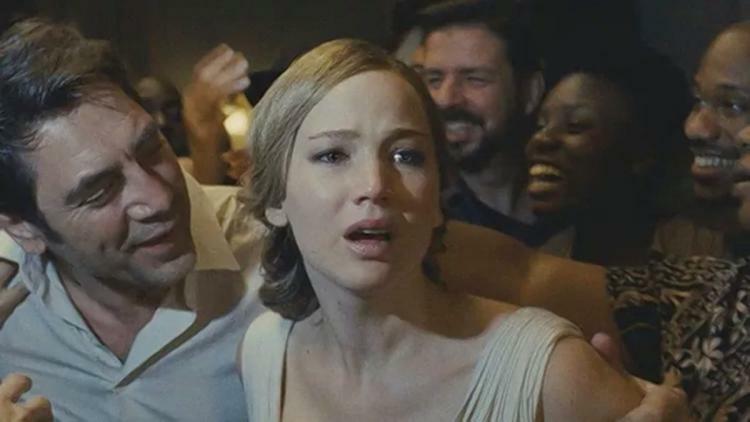 Shrouded in cagey mystery, “mother!” is, no contest, the least commercially viable and most polarizing studio film of the year, and amen to that. 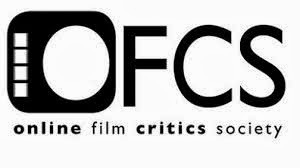 While reactions to this unsafe, studio-produced art film with household names will undoubtedly be split down the middle on what works and what does not work, and what it all means, there is always a place reserved for movies that trigger an emotional response, shake you up and change your mood, and leave so much room for debate. A cinematic Rorschach Test, anxiety attack, and hallucinatory nightmare unlike anything else, “mother!” is a tour de force that is hard to process after just one sitting but even harder to ignore and worthy of discussion for years to come. 8) Super Dark Times - A remarkably haunting feature debut to be proud of, director Kevin Phillips’ “Super Dark Times” sets an unsettling mood and sustains it from there with the aftermath of a bloodied deer that has smashed its way through a school window and takes its last breaths. It’s disconnected from the plot proper, but it efficaciously casts a dark cloud over this coming-of-age tale in a pre-Columbine era that disturbingly and authentically dissolves into an earth-bound nightmare of innocence lost and the collapse of friendship. For a film not classed as a horror film, though just as bleak, visceral and frightening, it still tests the viewer’s handling of stress, intensity and paranoia. Though its final shot leaves a shred of hope and regained innocence for one of its scarred characters, the film leaves the viewer shaken to the core with a lingering emotional resonance. Not dissimilar to “River’s Edge” and “Stand by Me” (both released in 1986) and 2004’s “Mean Creek,” “Super Dark Times” is harrowing, excellently acted, sensitively observed and vividly moody, earning the right to be placed in the same sentence as those three films before it. 7) Coco - Breaking the tradition of sequels, Pixar returns with an original in the winning “Coco.” While 2014’s Guillermo del Toro-produced animated effort “The Book of Life” highlighted Mexican culture first, director Lee Unkrich (2010’s “Toy Story 3”) and screenwriters Adrian Molina (who receives a co-directing credit) and Matthew Aldrich come up with their own rich, personal story that is at once culturally reverent and thematically universal. Celebrating the importance of family is a common throughline in many Disney pictures, and themes of believing oneself and seizing the moment may seem theoretically basic for a film targeted at children, but the filmmakers also have something to say about memory, regrets, family ties and mortality. As thoughtfully written as it is rousing and dazzling to look at, “Coco” is an inventive, touching and flavorful treasure that delivers on every level. All that has gone before the film’s last five minutes won’t prepare one for the beautifully moving, smiling-through-tears final moments, making “Coco” pretty perfecto. 6) Get Out - Jordan Peele, one-half of sketch-comedy duo “Key and Peele,” must have had the foresight to know the America that would be born around the release of his directorial debut. It being a horror film, “Get Out” marks Peele’s first foray into a genre one doesn’t ordinarily equate him with, and his intentions are devilish, thoughtful, and courageous. Racism still exists and it’s an unsettling thought, so Peele dares to repurpose the taboo of an interracial relationship from 1967’s “Guess Who’s Coming to Dinner?” through a looking glass by way of 1975’s “The Stepford Wives.” Blistering, disquieting, slyly satirical and entertaining, this is worth celebrating as ballsy, incendiary genre filmmaking ready to take chances. With the help of the fiercely indie-minded Jason Blum getting a picture like this greenlit within the studio system, Jordan Peele sticks to his guns and seems to have fully made the film he wanted to make without any tinkering or mainstream pandering. He is such a trailblazing talent behind the camera that one gets excited just thinking what ideas are festering in that mind of his for a sophomore project. Giving one plenty to think about and discuss later, “Get Out” is as important as “12 Years of Slave,” and suffice it to say, it might be more scarily relevant now than ever. 5) Baby Driver - When so many studio movies come off as safe, assembly-line, personality-free products connected to a franchise, writer-director Edgar Wright’s “Baby Driver” is alive with bona fide flavor and energy, flooring it with an identity all its own. Wright, he of 2010’s “Scott Pilgrim vs. the World” and the Three Flavours Cornetto trilogy, never lets his vision turn too arch or self-indulgent when concocting a bracing tossed salad of a genre picture. It’s a heist caper, a love story, and a visual mixtape all thrillingly rolled into one crowd-pleasing joyride. When almost everything clicks in a movie, it is like a shot in the arm for cinephiles, and “Baby Driver” is a creatively fresh, criminally fun and awesome rush. If it isn’t the most thematically meaty film of the year, few others this year will match this one's infectious exhilaration. A blast of cinematic ecstasy, “Baby Driver” is exactly as cool as it strives to be, affirming that they still do make quality summer movies like they used to. 4) The Shape of Water - “Romantic” isn’t typically a descriptor one would use to describe a Guillermo del Toro film. “The Shape of Water,” however, is decidedly del Toro’s most daring film, too, with unquestionable echoes of “King Kong” and “The Creature from the Black Lagoon” if the beauty and the beast actually fell in love and actually consummated their bond. Not unlike the fantastical filmmaker’s 2006 adult fairy tale “Pan’s Labyrinth,” del Toro brings a fairy tale sensibility to this otherwise real world, while adeptly juggling romance, suspense, horror and comedy. A whimsical, enchanting, beautifully tender and unexpectedly moving tale of love, loneliness and connection at its core with the backdrop of Cold War paranoia where anyone who fell into a subset of “other”—mute, gay, black, Russian—was a suspect, the film is also a dreamy, rapturous love letter to classic monster movies and movies of all kinds. 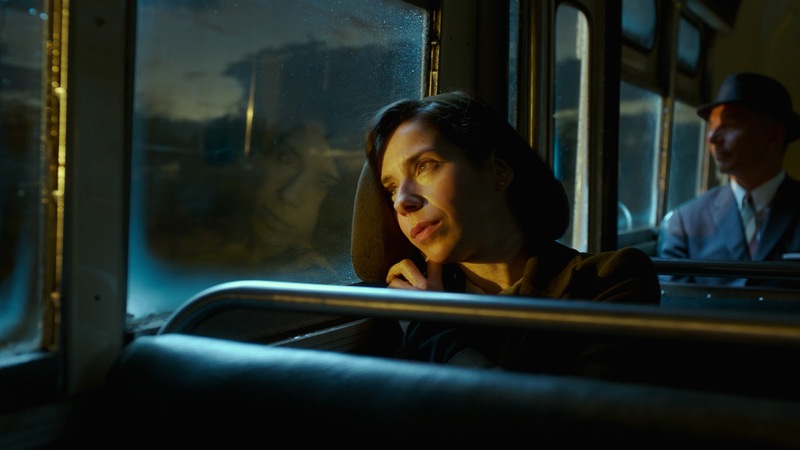 Sally Hawkins is sublime, soul-stirring and just plain lovely as mute cleaning lady Elisa, wordlessly but expressively communicating everything one needs with her eyes and infectious smile to see when her heart aches and what brings her joy. Unusual and wonderful, "The Shape of Water" is sheer magic. 3) Lady Bird - More than a decade ago, quirky indie darling Greta Gerwig might have starred as the titular character of “Lady Bird”—not a biopic of Lyndon B. Johnson’s wife—but Gerwig actually makes it her solo writing-directing debut. The project feels undeniably personal that one can just hear Gerwig’s voice through the performance of Saoirse Ronan, although not in a self-consciously quirky way that reminds one of the many times Woody Allen sometimes unsuccessfully cast another actor as his stand-in. Rather, Gerwig’s title character is an offbeat original and Ronan in the role only enhances the longing and adolescent emotions found in the already-terrific writing. Not only a coming-of-age film about living on the cusp of adulthood and trying to navigate pre-college life but also a love story between a mother and daughter, this is a lovely slice-of-life that feels freshly observed and deeply felt with a confident voice. Sharply funny, insightful and poignant, “Lady Bird” is close to perfect, the kind of film the viewer doesn’t want to end with characters one doesn’t want to see go. On second thought, it is perfect. 2) Call Me by Your Name - First love and sexual exploration are memorable touchstones in one’s life. There is the thrilling buzz, the nervousness, the heartbreak and all the feelings of experiencing an attraction to someone. Adapted from André Aciman’s 2007 novel by writer James Ivory and directed by Italian filmmaker Luca Guadagnino, “Call Me by Your Name” beautifully captures the unspoken yearning and feelings that are finally acted upon before it’s too late. A ripe romance but also a coming-of-age story, the film is as gentle, sensitive and observant in gaining insight into two people who find a deep connection. The story here is simple, taking its time patiently unfolding like the relaxed, leisurely nature of basking in the sun during a summer in Italy, but as told through the eyes of worldly 17-year-old Elio (Timothée Chalamet) who falls in love with his father’s 24-year-old American intern Oliver (Armie Hammer) during the summer of 1983 in Northern Italy, it is rich, subtle and complex in emotion. Swooningly sensuous, breathtaking and impassioned, “Call Me by Your Name” is intoxicating cinema for all of the senses, and it wouldn’t be premature to call this an all-timer of all the love stories ever told. 1) A Ghost Story - What happens after we die and leave those we love? Does the memory of us vanish or remain in our house? Do we leave behind anything? 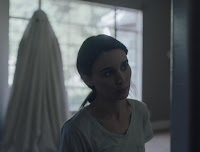 “A Ghost Story” is certainly not a conventional haunted-house film or even a horror film for that matter, but it ponders such questions of loss and leaving behind one’s legacy, as well as the mysteries of the hereafter. An elliptical, cosmically linked journey through the history of one house, spanning time and space, the film is a work of art about a dead man (Casey Affleck) returning back home to watch his wife (Rooney Mara) from afar but in the form of a ghost under a sheet. Should anyone dismiss the film for being soporific or not be taken with it will be missing out on writer-director-editor David Lowery’s singular and poetic meditation on life, death, grief and the overall human condition unlike any other, leaving the most open and willing viewers unprepared for its cumulative power and reflecting on his or her own life. Indefinable as an elevator pitch though it may be, “A Ghost Story” lingers and resonates as pure cinema that never dies. It’s forlorn and tender, beautiful and strange, quiet and lyrical, and challenging and evocative, and if one goes in with an open mind, it's an experiential tour de force that makes you feel alive.